You're done with Chapter 1. Congrats! In this chapter, we talked about the requirements of what it takes to be a project management professional and what it takes to be a certified associate in project management. Which one are you geared for? Depending on which certification you're going to achieve, you'll create a strategy on how you'll use this book, your time, and the PM-BOK to pass the examination. The PMBOK describes the 44 management processes and how these processes map to the nine knowledge areas of project management. This book, like the PMBOK, discusses in greater detail (and, ahem, clarity) these same processes and knowledge areas you'll need to be familiar with to pass your certification exam. We also discussed what a project is—and is not. You now know that a project is a short-term endeavor to create a unique product or service. Projects are created for any number of reasons, from marketplace demand to solving a problem within an organization. Projects, regardless of why they were created, move through a progressive elaboration to provide complete descriptions and wholeness of their goals and objectives. Recall that progressive elaboration typically starts with a broad synopsis of a project's goals, and through rounds of discussion, analysis, and brainstorming, the characteristics of a project become more detailed until, finally, the project vision is created. A project manager must understand the environment and circumstances that the project will operate in. The locale, culture, and conditions surrounding the project can affect the project's success as much as the project manager's ability to lead and manage the facets of the project and the project team. If a project management office exists, it can provide training and support for the project manager and the project team to effectively lead and complete the project work. Your next step in your certification quest is to create flash cards on the key terms and then complete the 20-question exam. Keep moving! A Guide to the Project Management Body of Knowledge (PMBOK) A PMI publication that defines widely accepted project management practices. The CAPM and the PMP exam are based on this book. Application areas The areas of expertise, industry, or function where a project is centered. Examples of application areas include architecture, IT, health care, or manufacturing. Certified associate in project management (CAPM) A person who has slightly less project management experience than a PMP but has qualified for and then passed the CAPM examination. Cultural and social environment Defines how a project affects people and how those people may affect the project. Cultural and social environments include the economic, educational, ethical, religious, demographic, and ethic composition of the people affected by the project. Deliverable A product, service, or result created by a project. Projects can have multiple deliverables. General management skills These include the application of accounting, procurement, sales and marketing, contracting, manufacturing, logistics, strategic planning, human resource management, standards and regulations, and information technology. International and political environment The consideration of the local and internal laws, languages, communication challenges, time zone differences, and other non-collocated issues that affect a project's ability to progress. Interpersonal skills The ability to interact, lead, motivate, and manage people. Iron Triangle of Project Management A triangle with the characteristics of time, cost, and scope. Time, cost, and scope each comprise one angle of the triangle; if any side of the Iron Triangle is not in balance with other sides, the project will suffer. Physical environment The physical structure and surrounding that affect a project's work. Program A collection of related projects working in unison towards a common deliverable. Progressive elaboration Describes the process of gathering project details in steady, uniform steps. This process uses deductive reasoning, logic, and a series of information-gathering techniques to identify details about a project, product, or solution. Project A short-term endeavor to create a unique product, service, or result. The end result of a project is also called a deliverable. Project environment The location and culture of the environment where the project work will reside. The project environment includes the social, economic, and environmental variables the project must work with or around. Project Management Institute (PMI) An organization of project management professionals from around the world supporting and promoting the careers, values, and concerns of project managers. Project management office (PMO) A central office that oversees all projects within an organization or within a functional department. A PMO supports the project manager through software, training, templates, policies, communication, dispute resolution, and other services. Project management professional (PMP) A person who has proven project management experience and has qualified for and then passed the PMP examination. Project portfolio management The management and selection of projects that support an organization's vision and mission. It is the balance of project priority, risk, reward, and return on investment. This is a senior management process. Subprojects A smaller project managed within a larger, parent project. Subprojects are often contracted work whose deliverable allows the larger project to progress. Con sider the electrical wiring of a new building to be a subproject of the parent project, which is the actual construction of the new building. Triple Constraints of Project Management Also known as the Iron Triangle. This theory posits that time, cost, and scope are three constraints that every project has. 1. A series of activities to create a unique product or service by a specific date is best described as which one of the following? 2. Which of the following is likely to be part of an operation? 3. Of the following, which one is the best example of progressive elaboration? A. It is the process of decomposing the work into small, manageable tasks. B. It is the process of taking a project from concept to completion. C. It is the process of taking a project concept to a project budget. D. It is the process of identifying the business needs of a potential project. 4. Your organization would like to create a new product based on market research. This new product will be created by a project. This is an example of which one of the following reasons to launch a new project? 5. A program is which one of the following? 7. You have an excellent idea for a new project that can increase productivity by 20 percent in your organization. Management, however, declines to approve the proposed project because too many resources are already devoted to other projects. You have just experienced what? 8. Of the following, which is not part of the Iron Triangle? 9. Of the following, which statement is correct? A. 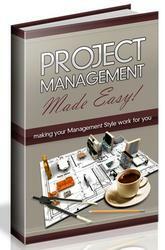 A project manager must use every process identified within the PMBOK on every project. B. A project must use every tool and technique as identified within the PMBOK on every project. C. A project manager must use the most appropriate processes on every project. D. A project manager must agree that he will use the most appropriate tools and techniques on every project. 10. Projects are temporary endeavors to create a unique product, service, or result. Which one of the following does not relate to the concept of "temporary" in project management? 11. A project creates a unique product, service, or result. Which one of the following is a result? 12. What is the difference between a standard and a regulation? A. A standard is optional; regulations are not. B. A standard is not optional; a regulation may be. C. A standard is rarely optional; regulations are never optional. D. A standard is a guideline; a regulation is a request. 13. A project manager needs five areas of expertise to be successful. Which one is not one of the five areas of expertise? 14. Which one of the following is not a characteristic of a project's cultural and social environment? 15. You are the project manager of the KHGT Project, which will span four countries around the world. You will need to consider all of the following characteristics of the international and political environment except for which one? 16. Which one of the following is not an example of an interpersonal skill? 17. What is a subproject? A. It is a smaller project that supports a parent project. B. It is a project that is performing below expectations. C. It is a project that has been experiencing project spin-off. D. It is delegation of a project phase. 18. Where will a project manager most likely get project management mentoring? 19. Which one of the following is an example of operations? 20. When considering the selection of projects to be initiated, project portfolio management considers all of the following except for which one? 1. C. A project is a temporary endeavor to create a unique product, service, or result. Deadlines and cost constraints are tied to the project. A is incorrect because programs are a collection of projects working towards a common cause. B is incorrect because operations are ongoing activities of an organization. D, a subproject, describes a project that is part of and supports a larger project. For more information, see the PMBOK, Section 1.2.1. 2. A. Providing electricity to a community is the best example of operations, as it is an ongoing activity. B, C, and D are all examples of projects, as they are temporary and create a unique product, service, or result. For more information, see the PMBOK, Section 1.2.2. 3. B. According to the PMBOK, progressive elaboration means developing in steps and then continuing by increments. A describes the process of breaking down the project scope into the task list. C is not a valid choice for this question. D is part of stakeholder analysis, and is not the best answer for this question. For more information, see the PMBOK, Section 1.2.1.3. 4. C. Projects can be created for a number of reasons, and this example supports the market demand choice. A, an organizational need, is a project to satisfy an internal need. B is incorrect because no specific customer asked for this new product. D is incorrect because there is no legal requirement to create the new product. For more information, see the PMBOK, Section 1.2.3. 5. C best describes a program. A program is a collection of projects working together to gain benefits by managing the projects as a group rather than on an individual basis. A, B, and D are not attributes of programs. For more information, see the PMBOK, Section 1.6.1. 6. D. Programs are managed by program managers. A, B, and C are incorrect choices. For more information, see the PMBOK, Section 1.6.1. 7. C. Project portfolio management is the management, selection, and assignment of projects that support an organization's business objectives. A, B, and D are not valid answers. For more information, see the PMBOK, Section 1.6.2. 8. A. Quality, while important, is not part of the Iron Triangle of Project Management. B, C, and D comprise the Iron Triangle. For more information, see the PMBOK, Section 1.3. 9. C. A project manager does not have to use all of the processes within the PMBOK, only the most appropriate. A, B, and D are incorrect statements, as the project manager does not use every process or tool and technique within the PMBOK. For more information, see the PMBOK, Section 1.1. 10. C. Most projects create a deliverable that will outlive the project itself. A, B, and D are incorrect, as these attributes are temporary in nature. For more information, see the PMBOK, Section 1.2.1.1. 11. C. The PMBOK gives the concept of creating feasibility as a result. A, B, and D describe products and services. For more information, see the PMBOK, Section 1.2.1.2. 12. A is the best choice, as standards are optional while regulations are not. B, C, and D do not accurately describe the difference between standards and regulations. For more information, see the PMBOK, Section 1.2.5.2. 13. C. Believe it or not, you don't have to be a PMP or a CAPM to be a successful project manager. A, B, and D are valid characteristics of a project manager. For more information, see the PMBOK, Section 1.5. 14. B. Time zone differences are not part of the cultural and social environment, but are part of the international and political environment. A, C, and D are part of the cultural and social environment. For more information, see the PMBOK, Section 1.5.3. B, and D are part of this environment. For more information, see the PMBOK, Section 1.5.3. 16. A. Financial management and accounting is not an interpersonal skill. B, C, and D are examples of interpersonal skills, so these choices are invalid for this question. For more information, see the PMBOK, Section 1.5.5. 17. A best describes a subproject, which is a project, sometimes smaller than the original, that supports a parent project. B, C, and D do not accurately describe a subproject. For more information, see the PMBOK, Section 1.6.3. 18. C. Project managers will most likely receive mentoring from the project management office. A is not a valid choice. B is not a valid choice because ASQ does not provide mentoring for project managers. D is not the best choice for the question because the PMBOK specifically identifies the PMO as a source for mentoring. For more information, see the PMBOK, Section 1.6.4. 19. C is the best example of operations, as the answer implies that this work is done every month. A, B, and D are all unique endeavors that may be done once or just occasionally, but are not part of ongoing operations. For more information, see the PMBOK, Section 1.2.2. 20. 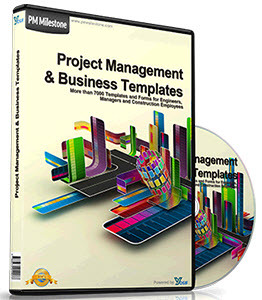 C. While the experience of the project manager is likely considered during the assignment of projects, it is not considered during project portfolio management. A, the risk and reward of the project is considered. B and D, the lines of business and the general types of projects, are also considered as part of project portfolio management. For more information, see the PMBOK, Section 1.6.2.